This jQuery Plugin allows you to add Share Buttons of the most popular social networks to your web pages. 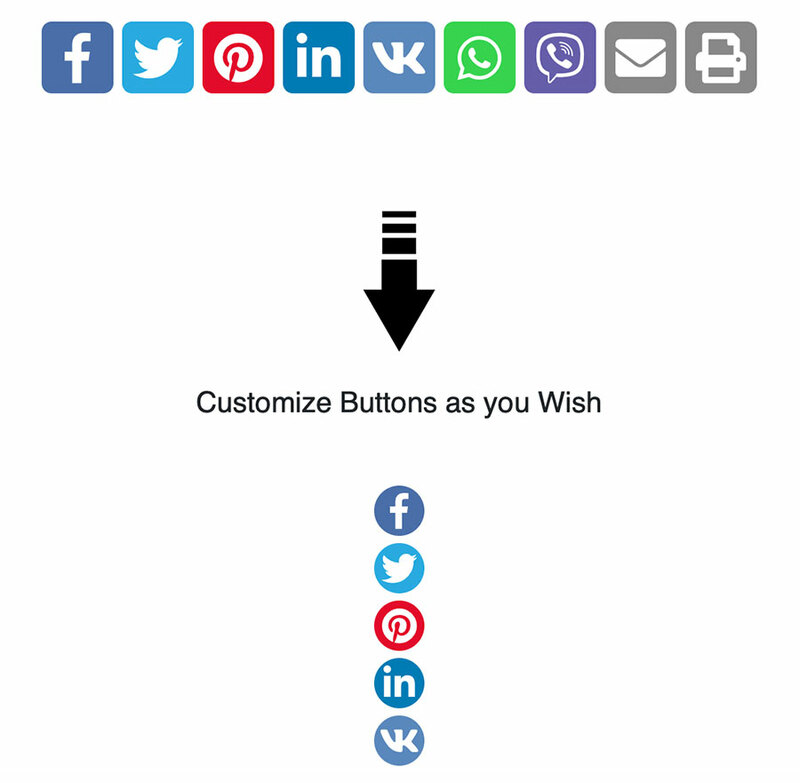 Share buttons will allow your website visitors to easily share the content of your web page with their friends. Plugin includes Facebook, Twitter, Pinterest, LinkedIn, VKontakte, WhatsApp, Viber, Email and Print buttons. 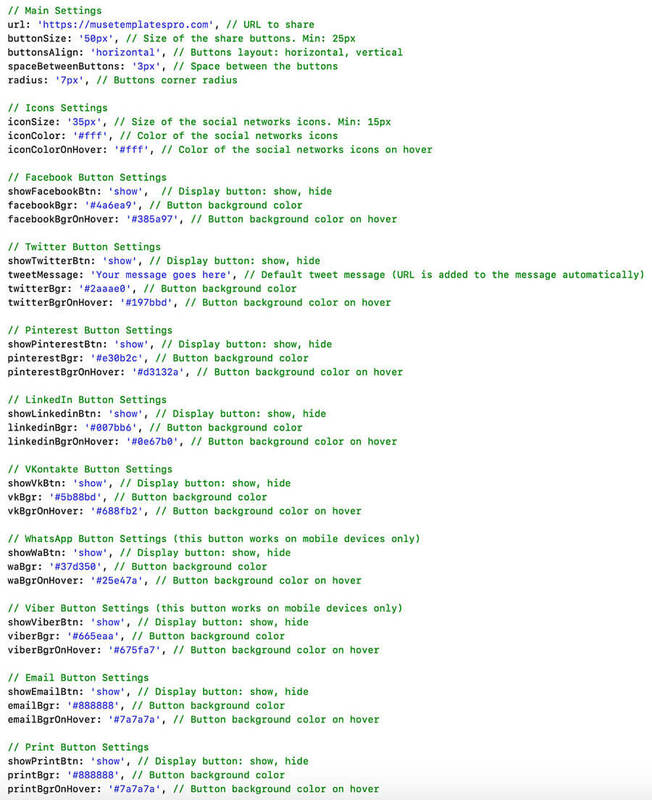 In addition to this, you will be able to customize the buttons by adjusting colors, size, etc. New buttons: WhatsApp and Viber (work on mobile devices only). New buttons: Email and Print. Google+ button removed because Google is shutting down this social network.